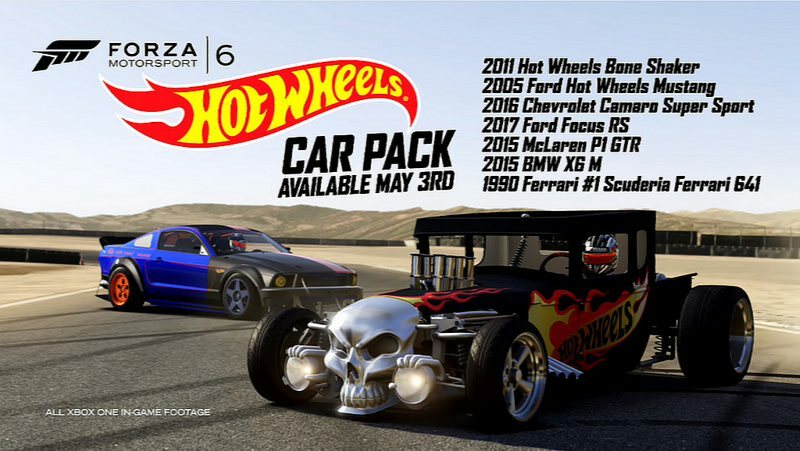 Hot Wheels Car Pack DLC now available on Forza Motorsport 6. Recently Forza Motorsports 6 got the Top Gear Car Pack, the AlpineStars Car Pack and above all the iconic Chryslus Rocket 69 from the game Fallout 4. Hot Wheels pack includes seven cars. Players will get some other solid cars for their garage, including a McLaren P1 supercar and a Ford Focus which is coming next year. The Hot Wheels Car Pack is available now for $7 or cars can be purchased individually. Forza Motorsports 6 is available on Xbox One. The Forza Motorsport 6 Apex open beta also coming to Windows 10 on May 5.